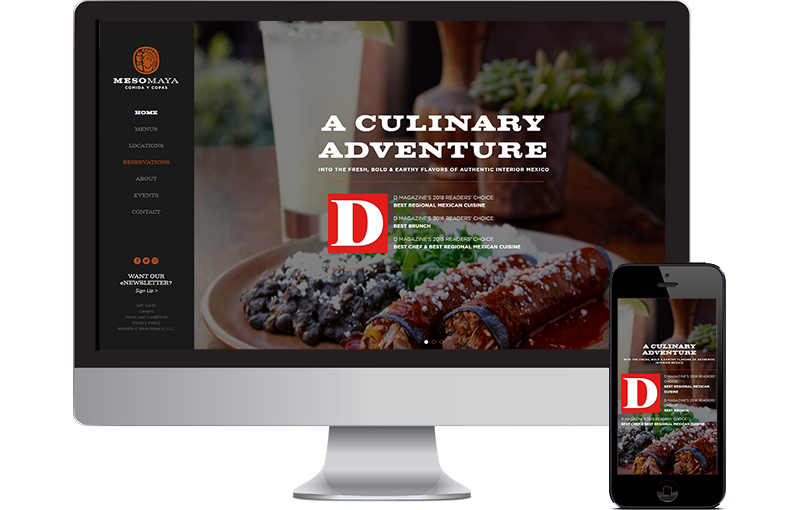 A good looking restaurant website that performs better across all platforms. This beautiful website was originally designed by Old State. We took the design and re-built it from the ground up for WordPress. We installed a few of our custom made WordPress Plugins to make the menus and locations easy for Google to read the micro-schema data. Some of the great new features we added to the website include API integrations to FishBowl and TripleSeat. If you want some of the best Mexican Food in DFW just visit any of the 7 Meso Maya locations. if you want a custom digital marketing solution for your restaurants then visit the leader in restaurant marketing, Seota. This site is integrated to FishBowl via the FishBowl API.